Ruby Epps Clark, age 85 of Maxton passed away at her home on Wednesday, January 30, 2019. Funeral services will be conducted at 3:00 p.m. on Sunday, February 3, 2019 at the Union Light Baptist Church officiated by Rev. Jerel Brewer, Rev. Roger Adkins and Rev. DuFrane Cummings. Burial will follow the service in Epps Family Cemetery. Ruby, a daughter of the late Matthew William Epps and Dora Lee Branch Epps was born July 30, 1933 in Robeson County. She was the loving and devoted wife to the late Leroy Clark who preceded her in death November 15, 2008. She was a homemaker and retired after many years of service from the Eaton Corporation. 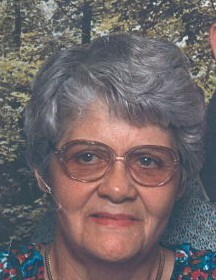 Ruby served as a lifelong member of the Union Light Baptist Church. She enjoyed flower gardening, working in the yard, cooking for her entire family and traveling. She will forever be treasured as a loving mother, grandmother, sister and friend. In addition to her parents and husband, she is preceded in death by brothers, Graham Epps, Mark Epps, Louis ”Edward” Epps and sister, Sadie Duke. Ruby leaves behind her daughter, Elizabeth Ann Locklear and husband Ray of Maxton; grandchildren, Daniel Ray Locklear (Jennifer), Valerie Lynn Locklear (Bobby), Austin Lee Locklear and great grandchildren, Addison Elizabeth Locklear, Amber Lynn Locklear and Amelia Locklear; her brothers, Clyde Epps (Estelle) of Maxton, Varsie Epps (Carolyn) of Red Springs, Joseph “Ike” Epps (Deborah) of Maxton, Lucius “Porkey” Epps (Vera) of Maxton; sisters, Arletha Epps of Maxton, Betty Johnson of Laurinburg, Hattie Beck (Lacy) of Hamlet, Zelma Scott, Lillian Hoback (Kelly), Geraldine Epps and brother-in-law, Donald Duke all of Maxton; her many nieces, nephews and a host of loving family and friends. The family will receive friends from 6:00 until 8:00 p.m. Saturday, February 2, 2019 at Union Light Baptist Church. Memorial donations are requested to be given in Ruby’s memory to the Union Light Baptist Church, 259 Union Light Church Road, Maxton, NC 28364 or Scotland Regional Hospice, P.O. Box 1033, Laurinburg, NC 28353.